Despite being better known for their road line, the focus of Spain’s largest bicycle company at Winter PressCamp this week was on mountain bikes, and only mountain bikes. As part of the massive, worker-owned Mondragon Corporation co-op, Orbea is organised around a number of egalitarian principles and has access to a number of the Corporation’s unique resources. How unique? Not many other bike companies have a wholly owned university as a sister organisation. 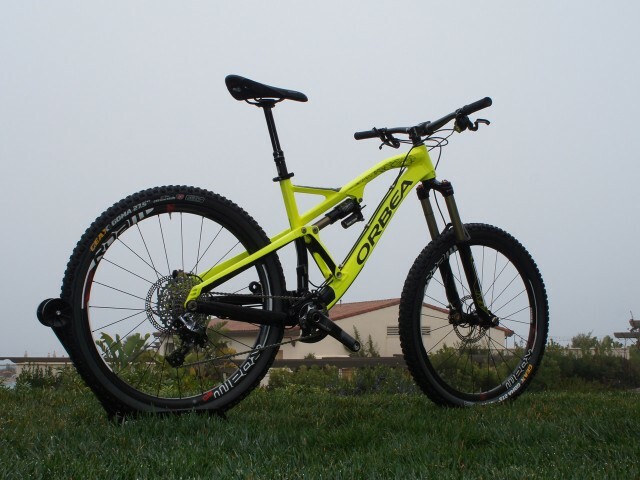 For 2014, the company is most excited about the evolution of their Alma race hardtail as well as much more revolutionary changes in the Rallon enduro racer. 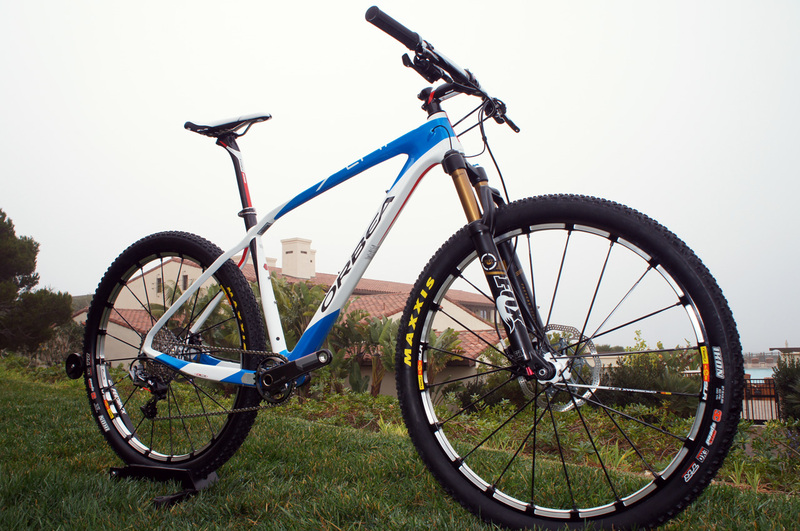 The first carbon fibre 29er to see series production, the Alma has been a mainstay of the Orbea line since 2006. Designed to be stiff where necessary and comfortable where desired, the fourth-generation frame see’s the brand take on size-specific wheels. Two levels of composite frame are offered, each with various build kits: the sub-1,000g (29er medium) Orbea Monocoque Race (OMR) and a roughly 1,200g Orbea Monocoque Performance (OPM). Given two wheel sizes, Orbea outfits small frames with 650b wheels, large and XL frames with 29in wheels. Medium riders get to pick whichever wheel suits their preferences and terrain. The thought is that, with no clear-cut winner in the wheel size wars, the smaller wheels will fit little riders better. 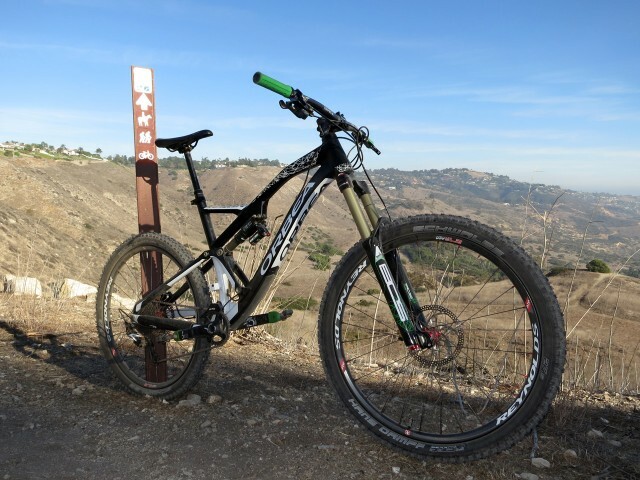 Handling on the 650b model has been worked to be all but indistinguishable from the 29er and component spec’s are virtually identical. 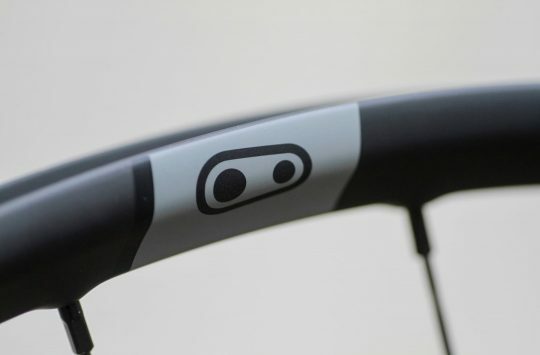 To make fitting simpler, head tube lengths have been reduced across the range and top tube lengths are now more rationally spaced between sizes. 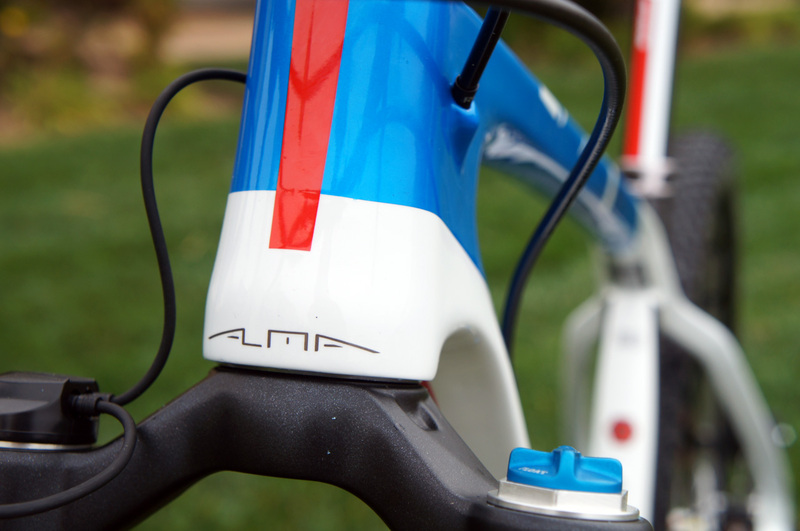 The Alma’s seatstays and distinctively kinked top tube have been flattened somewhat to improve vertical compliance. Taking a cue from their own racers (who were shimming frames to run smaller ‘posts), the previous generation’s 34.9 seatpost has been replaced by a nice, comfy 27.2. Interestingly, with an eye toward the (near?) future, Alma frames have routing and mounts for both mechanical and Di2 electronic shifting. Sitting near the opposite end of the riding spectrum is the Rallon. Designed with enduro racing in mind, the fourth-generation Rallon is a departure from the model’s trail-oriented predecessors. Where the company admits that none of the previous iterations were necessarily standouts, the 2014 Rallon is intended to have personality, and lots of it. Without concessions to all-day rides, the new 160mm/650b platform is free to take on a ‘mini DH bike’ persona. 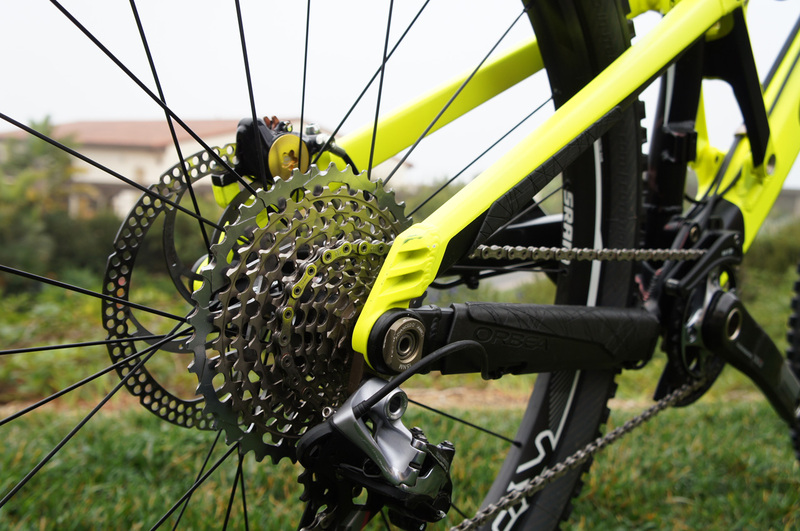 In fact – wheel size notwithstanding – the Rallon has geometry strikingly similar to Specialized’s Demo 8 downhill machine. 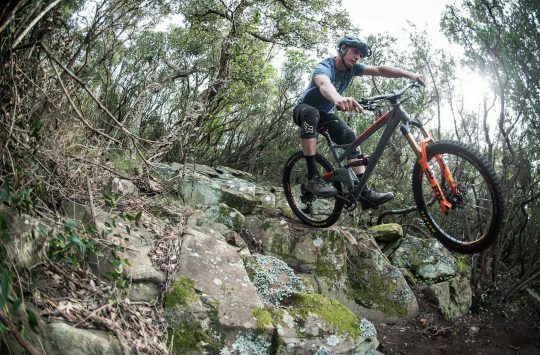 Still a single-pivot design (with an axle-centred seatstay), the Rallon’s main pivot has been moved up to improve performance on square-edged hits as well as a good amount of anti-squat to make the most of enduro’s quick bursts of pedaling. All of the expected features are present: thru axle rear axle (convertible to QR), post mount native rear brake mounts, routing for internal and external dropper cables, and easily-serviced and easily-configured external cable routing. The suspension itself was engineered (with the help of the aforementioned university) to provide a largely linear actuation rate, making the effects of suspension tuning more predictable. The two top-level Rallons feature rarely-seen (but highly-regarded) BOS Deville and Kirk suspension front and rear. Despite Orbea’s experience with carbon fibre, the Rallon is aluminium-only for the time being- the rationale being that an alloy frame with a nicer spec will work better and be lighter than a carbon frame with lower-level components. Frames come with a 3-year warranty on paint and lifetime structural coverage. In true California style, our brief time on the Rallon consisted of near-vertical fire road climbs followed by even-nearer-vertical descents. With roughly 30% sag front and rear, the bike pedaled far more eagerly than its travel and character would suggest. The combination of short stem and 66° head angle did require a steady hand on the ups, but that’s to be expected. 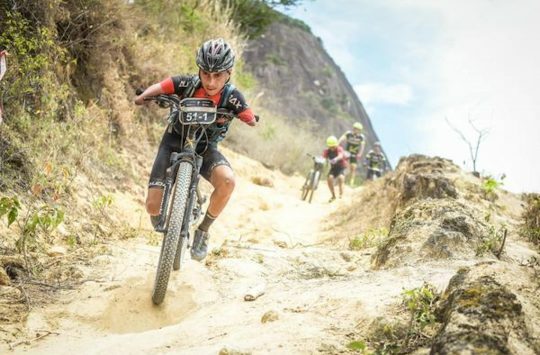 Providing plenty of traction on the climbs, the BOS suspension did the same on descents, with both ends working unobtrusively to swallow increasingly fast and lumpy trails. Despite repeatedly plowing into dust-hidden holes at speed, during our short time together the Rallon simply refused to come unsettled. Orbea is distributed in the UK by Orbea UK. What parts of the geometry are similar then? I love my Rallon (older version). Beautifully made, rides like a dream, feels like it will last a long time. Just sent this to orbea sick of waiting now….. I would just like to express my disappointment in orbea. I have ordered a rallon X30 ( NOT TOP OF THE RANGE BUT £2200 IS A LOT OF MONEY TO ME ) from my local dealer in the uk (which was now over 3 weeks ago ) expecting it to be here by now but further to a call this morning from the bike shop i’m having to wait yet another 3 to 4 weeks as the bike is STILL NOT available in yellow. I was told at time of purchase it would be 3 to 4 weeks ( from your uk rep ). I am now missing the first part of my enduro season for 2014 due to waiting for your product to be shipped. 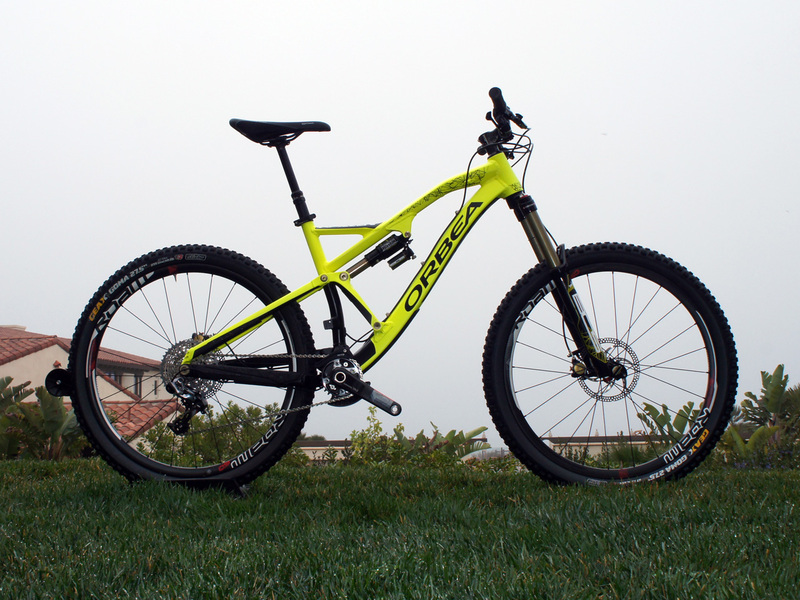 I have had orbea bikes in the past and its never taken this long. Orbea are missing out on a huge uk market due to the time scale things take to be delivered thru your company . Please email/message me with a response ASAP as this cannot continue.